Do you think the government will actually put all $30m into affordable housing as promised? More than 5,000 properties out of 8,500 deemed “vacant” by city staff received exemptions. Vancouver’s tax on empty homes will bring in $30-million of revenue in its first year, but that will come from only a tiny proportion of homeowners. More than 5,000 properties out of 8,500 deemed vacant by city staff received exemptions under rules of the new tax bylaw, which is a first for Canada and is being watched closely around the world. Nearly 1,000 homeowners among the 8,500 whose properties were designated vacant are disputing the classification. So only 1,200 properties are being assessed the tax in the first year, some paying as much as $250,000 for the 2018 tax period. Another 1,100 or more may be added from Vancouver residents that failed to make any declaration about their properties. 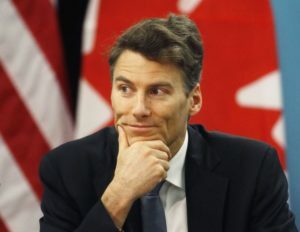 But Vancouver Mayor Gregor Robertson is pleased with the results anyway. “Thank you for contributing to Vancouver’s affordable-housing fund,” the mayor said wryly at a news conference outlining the details of the new tax. He acknowledged it’s not clear yet whether the tax has caused any owners to rent out their apartments or houses, which is one of the city’s goals. But, he said, the city needed to do something to ensure that desperately needed housing is available. The 1,200 to 2,300 homeowners who may eventually pay the tax are far less than the numbers that have circulated for years about empty units. Two years ago, the city said 10,800 units were unoccupied for a year or more, after a comprehensive study of electrical use. It’s also far less than the 25,000 often cited based on numbers from the census of May, 2016. That number is often challenged, as it is based on only one day and includes housing used by students, or units classified as a basement suite even though owners may not use them that way. Green Party Councillor Adriane Carr said she is concerned the numbers are so low. She also said she is waiting to see if the new tax helps increase the vacancy rates, which are currently around 0.8 per cent. Mr. Robertson said citizens will decide what kinds of housing initiatives the revenue should finance. He said it could go into more homeless shelters, the city’s rent bank, which lends people money if they are in danger of being evicted, or toward buying more land for housing. Not all the money will go to housing. About $7.5-million is needed for start-up costs for the new program and $2.5-million a year is needed to run it. Some of that operating money is going toward thousands of audits the city is doing to ensure that those who should pay the tax are not exempted. People who can’t prove their Vancouver home is a principal residence can be exempted if they can prove they are renting it out long term, it was being renovated or redeveloped, their strata doesn’t allow rentals, or they work in the city for at least 180 days a year. According to the city’s statistics, 560 homes were exempted because their strata doesn’t allow rentals, 2,480 because the title to the property changed hands during the year and 1,560 were being renovated or redeveloped.